GeekGirlCon is this weekend and I cannot wait. I just got back from the initial setup of my booth and I’m so excited to share it all with you! If you’re at GeekGirlCon, stop by Booth #202 for mini Mountain Dew cupcakes, awesome merch, and a chance to chat with me and Mr. Geek. How should you act at conventions? What do you do when your friend doesn’t get your references? How will you handle that internet troll? These questions and more will be discussed in this lively look at etiquette in geek culture. Learn how to be a well-mannered geek and get answers to all of your burning etiquette questions! Wondering how to make your home fun and stylish with a geeky twist? From commissioning comic book artists for art to adorn your walls, creating your own home decor with fabulous geek crafts, finding inspiration from Star Wars and more– whether it’s baking in the kitchen or entertaining, you’ll hear tips from the experts on infusing your home with your personality without scaring away the Muggles. Will I see you around? 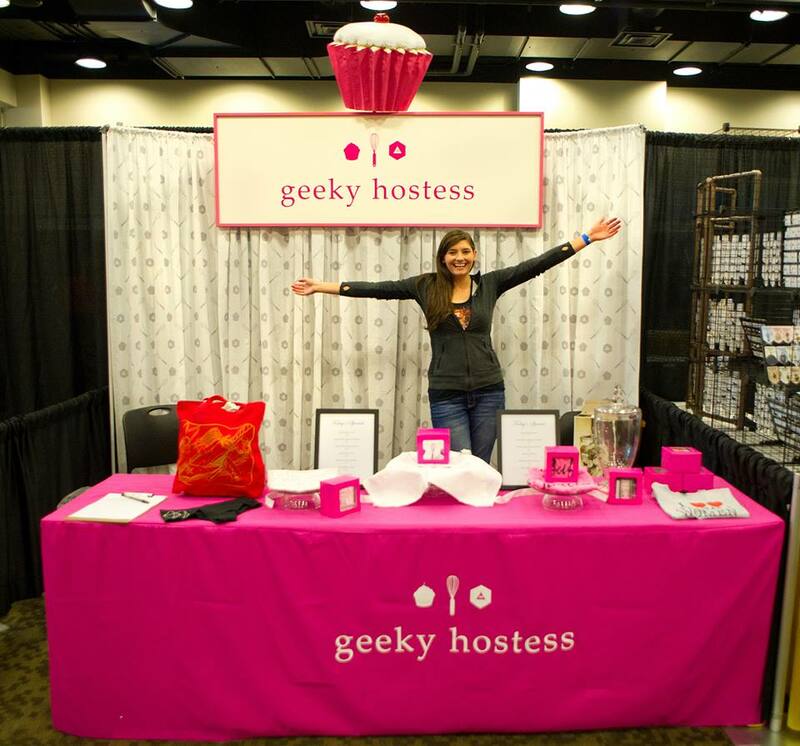 What are you looking forward to at GeekGirlCon? I’ll be on the other side of the continent, being jealous. Tara, I AM SO EXCITED FOR AND PROUD OF YOU! While I wasn’t able to attend GGC (something I hope to be able to do next year), I was wondering if you’d be willing to write a post about your first experience running a booth after all is said and done. That’s a fantastic suggestion! I’ll see what I can do. Looks nice! And you look so excited 😀 I hope to attend next year!